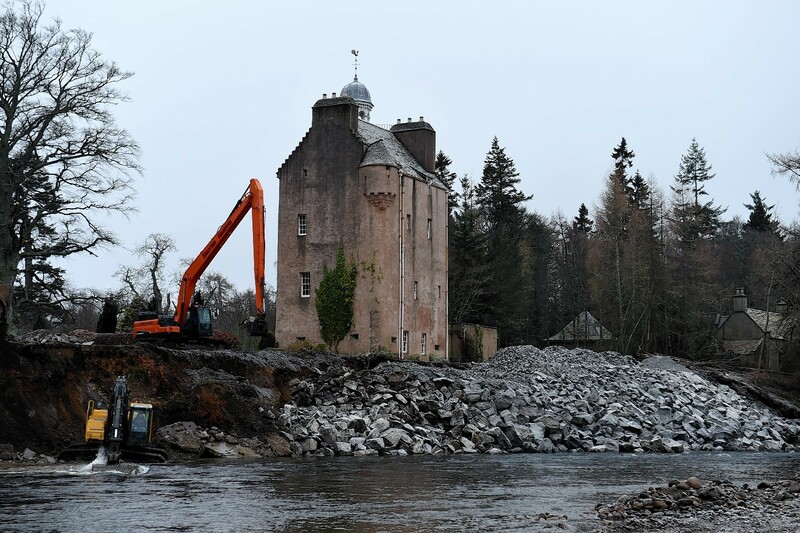 As the floods raged across the north-east, one of the area’s biggest concerns surrounded the future of Abergeldie Castle, with fears that the rising River Dee could wash away the building which has stood strong since the 16th century. 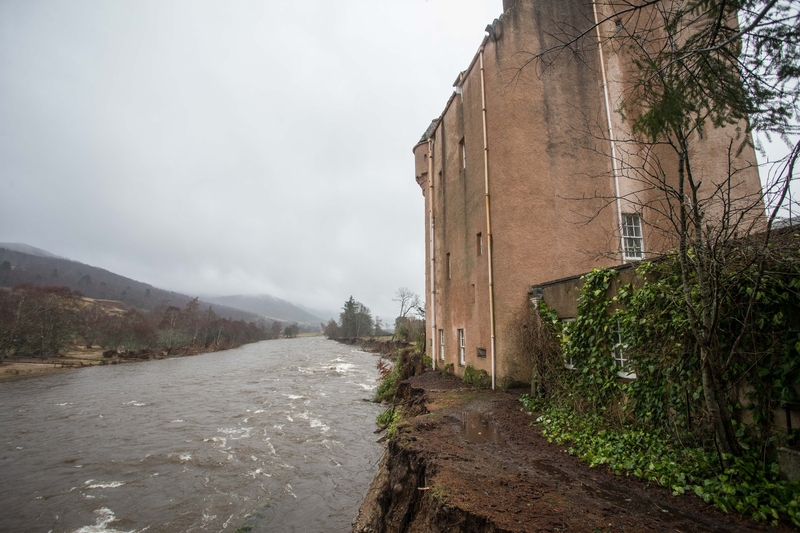 The Queen’s neighbour at Balmoral, John Gordon, had to flee the castle as the raging River Dee swept away trees and a huge chunk of land at the rear of his ancient Abergeldie Castle. 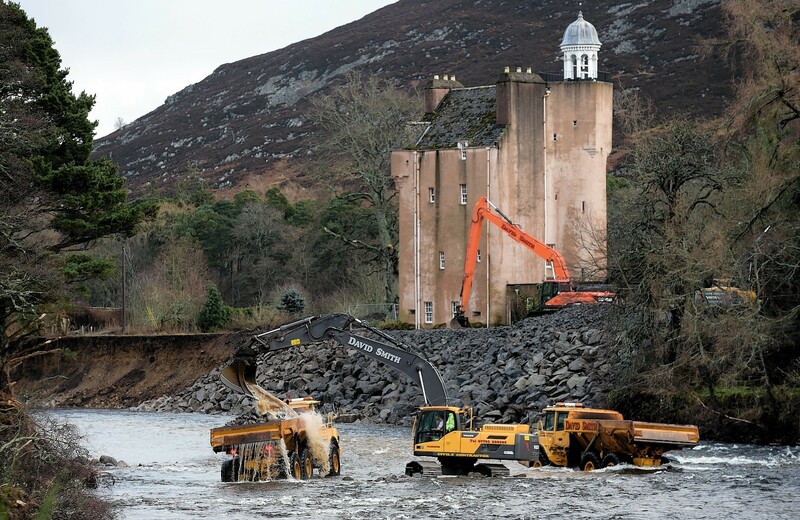 When Mr Gordon looked out of his back door he saw just 5ft of dry land between him and the fearsome flood – where before there has been 60ft of ground stretching out to the to the river bank. 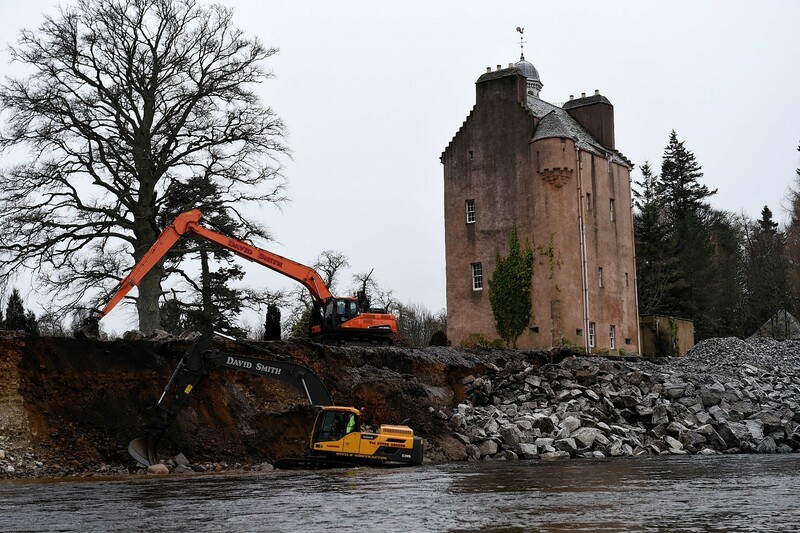 Immediately work began to save the castle as the rain continued to pour, the floods continued to rise and the river continued to roar. 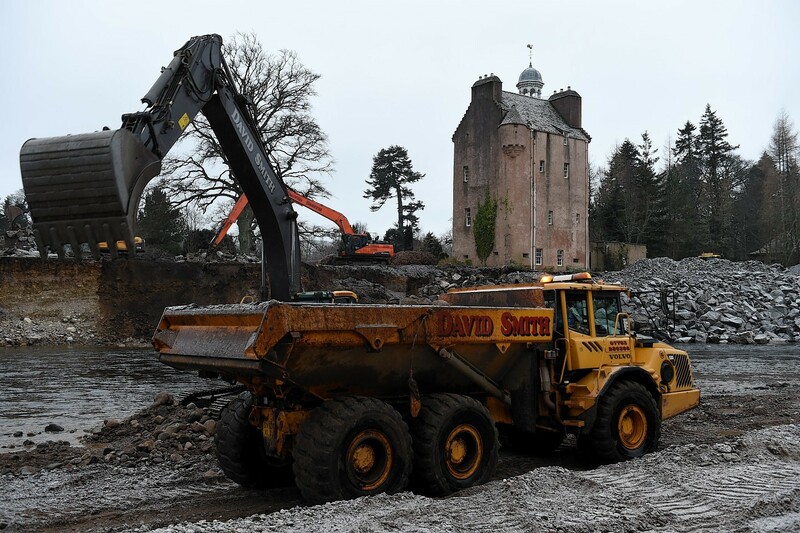 Press and Journal photographers Kenny Elrick and Jim Irvine positioned a camera across from the castle and captured five days of remedial work carried out by the council to shore up the foundations around the 16th century A-listed building. Abergeldie Castle dates from the mid-16th century and was built by Sir Alexander Gordon of Midmar. 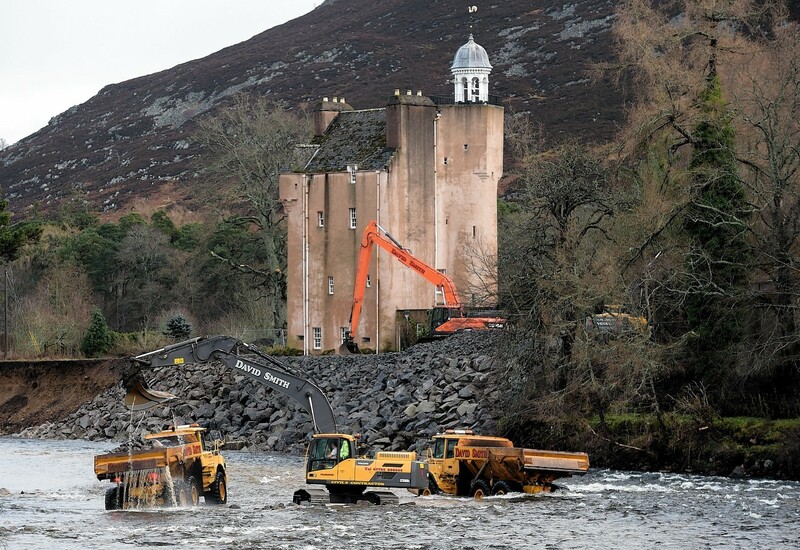 Thankfully, due to, the work carried out over the last week, it looks like the building will survive long into the 21st century and beyond.